Definition: Combining an appreciation of beauty with the benefits of science to design advanced skin care products that elevate the health and look of your skin. Welcome to Aesthetic Science, where we have designed, developed, and brought to fruition cutting-edge ultrasonic technologies with one goal in mind: repairing skin at the cellular level. Results include reductions in wrinkles, pores, and hyperpigmentation, cleared acne, and managed rosacea. We believe in the benefits of education. While creating our skin treatment technology we realized the need for educated professionals in the use of our machine. 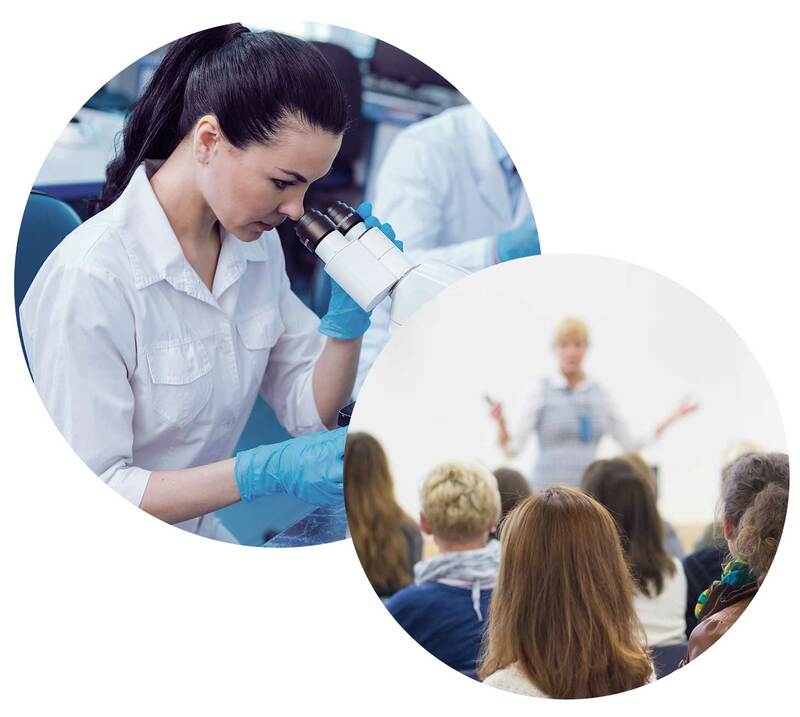 We are committed to bringing educational events to schools, med spas and residential communities, not only in the use of our technology, but to educate the public about the need for clinical skin care treatments that get results and a home care product regimen to continue the results. Ultrasound is the wave of the future in scientific skin care. The EpiWave™ Ultrasonic applies the same ultrasound technology used by dentists for clean skin at the next level, without damaging skin cells. No other skin care treatment exists for all skin types and conditions without invasive surgery. Aesthetic Science has designed an exclusive line of skin care products developed to enhance the effects of the Epiwave™ Ultrasonic and provide advanced skin care techniques without the need for surgery. 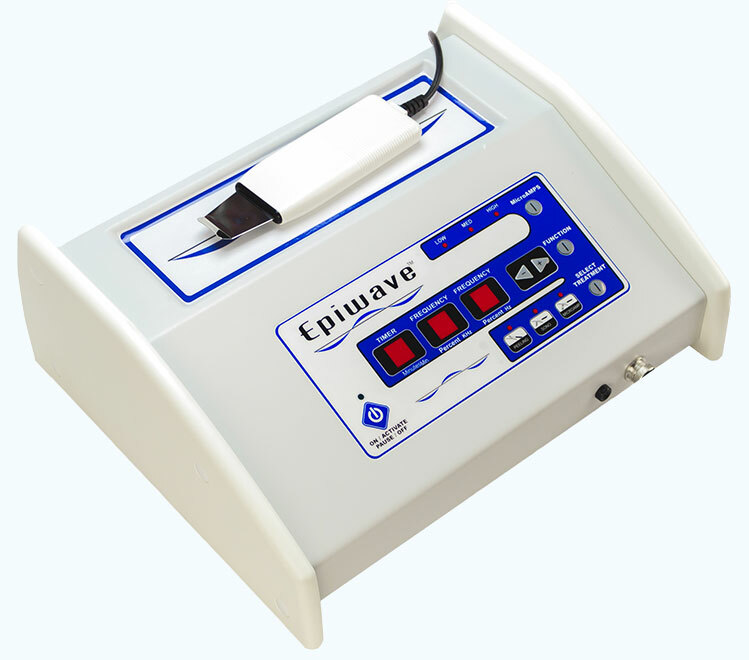 For inquiries regarding purchasing and pricing of the EpiWave™ , please contact us. 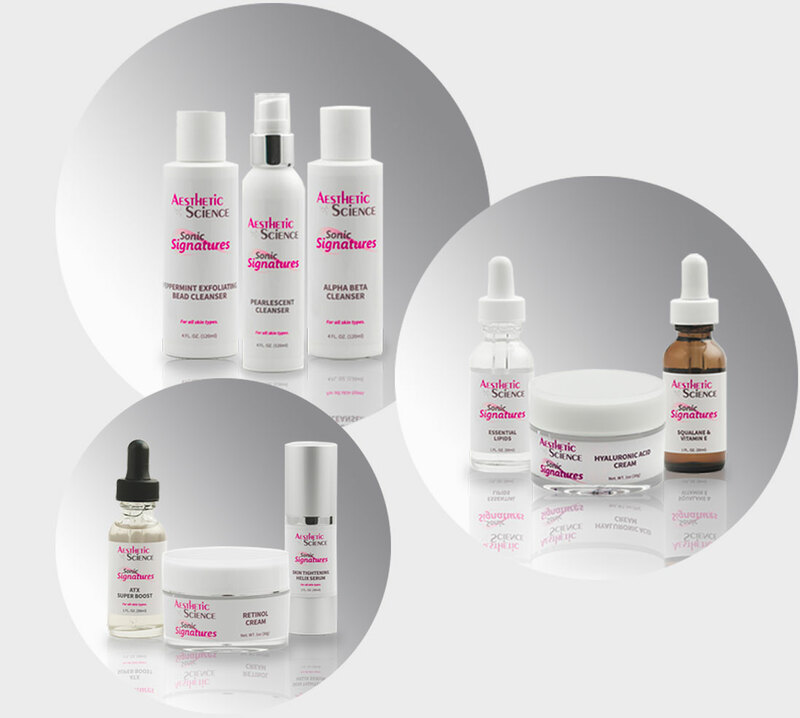 Aesthetic Science was designed to fill a need in the skin care business. Our products are based on the needs of cells. We believe inner beauty and outer beauty start with healthy cells. Combat the most common skin conditions: Hydration, Antioxidants, Age Management, Rosacea, Hyperpigmentation an Acne. A Boston Native, Naomi Cauger started her career at the Catherine Hinds Facial Salon in Boston, Massachusetts. Naomi managed salons and spas until she went on to become the Director of Admissions of the accredited Catherine Hinds School of Esthetics. From there, she continued to establish Med Spa, Lasers and IPLS until she decided to start Aesthetic Science LCC in the early 2000s. Naomi continues to hold trainings, advance education seminars and mentors young esthetic professionals. In Naomi’s free time, she enjoys spending time with her family and traveling. Rodeen’s education started in 1971 as she attended Madame Borel Cosmetic Clinic in London England. She received a European International C.I.D.E.S.C.O Diploma. After graduation, Rodeen went on to work at the Catherine Hinds Skin Care Salon, MGH Institute of Aesthetics and owning her own skin care clinic, Palmers Skin Care Clinic in Hingham, MA. Rodeen has years of experience in educating young estethicians. She developed and implemented advanced curriculums. She has instructed and coached over 500 students in advanced aesthetic procedures. She also specializes in Age Management Facial Treatments, Chemical Peels, and Advanced Skin Care Techniques. From 1983 to 1993, Rodeen worked for Removatron International in Boston, MA. where she held the title Vice President of Skin Care. Her responsibilities included product and equipment sales, employee training, developing training videos and formulated new products. In 1993, she went on to work for Bellasante in Lexington, MA as a Regional Salon Manager. They are known for their awards Best of Boston awards. She continued to offer her consulting services to salons who wanted to expand their skincare services. In 2004, Rodeen joined the Aesthetic Science team as the Direct of Education. She currently helps with product development, training protocols and continuing education. As Naomi’s granddaughter, Mary was exposed to the industry at a young age. She remembers going with her grandmother to the Catherine Hinds School of Esthetics or other spas she was training at. Amazed by industry, Mary decided in High School that she too wanted to me a cosmetologist and graduated in 2006 from Blaine Beauty School in Waltham, MA. Mary continued her education working in high-end salons and spas and went on to help educate new apprentices. After relocating to Florida, Mary held the position of Master Hairstylist and Make-up Coordinator of a 5-Star Resort. Now Mary is an independent stylist growing her own business. In her free time, Mary enjoys staying up-to-date with the current techniques in the industry including marketing, business management and products. She also loves spending time with her family and horseback riding. At an early age, Crystal developed a love for the esthetic industry. She has the fondest memories of going with her grandmother, Naomi, to the Catherine Hinds School of Esthetics and would frequently get spa treatments preformed on her. Crystal went on to study Psychology, Child Development and Substance Abuse in college, but ultimately decided to pursue a different outlet and became the Administrative Assistant for Aesthetic Science LLC. She continued her education in skincare and received her certification. She is currently trained in all Aesthetic Science’s advanced techniques and uses them on her clients. In Crystal’s free time, she enjoys spending time with her husband and their two year old daughter.